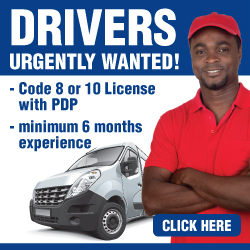 job application code 10 obtained in 2008 with pdp plus off road certificates, i am available as soon as possible. Iam 20 years old ambitious, hardworking and commited. I can work underpressue with group and as an individual. I was onced employed in the social development for 17 years. I do have a code 10 and PDP and presently unemployed. I resigned from the above mentioned department to start my own business but I met wrong people who just exposed me. I am a hard worker who can work without supervision.